If you not already known, for many years since 2003, we meet for breakfast on every first Sunday of the month at Thow Kwang Dragon Kiln. Now we have younger potters joining us to continue this tradition but we now meet for brunch instead of breakfast. Sorry for the long silence. 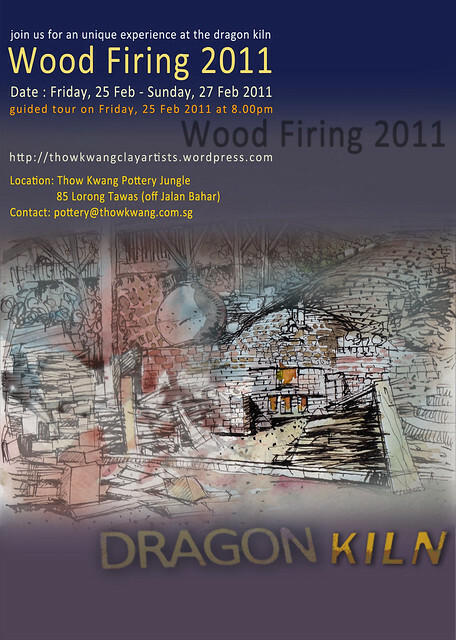 I am still into pottery and wood firing at Thow Kwang Pottery Jungle. For a long time I had problem logging into this website and suddenly I found my username and password to write here. What a busy and rewarding 2018 and here is a photo of me carrying my latest work from the recent wood firing on 1 Dec 2018. Thanks to my potter-friends who carried out the wood firing when I was attending my daughter’s wedding on the same day. 2017 will be over soon, this year, although I spent more time at Urban Sketching but I was happy to find time to take part in the latest project, a collaboration between Ding Yi Music Company and Thow Kwang Clay Artists. 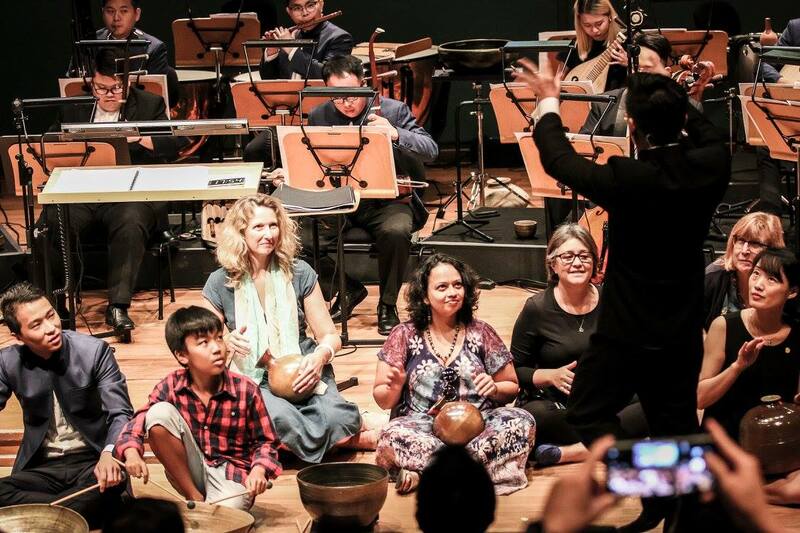 It was staged on 3 Dec 2017 at Esplanade Recital Studio and the audience got to touch and play with the pots we made. Sorry for the silence for years as I am more active in urban sketching at http://www.tiastudio.blogspot.com. Here are some photos from the latest wood firing on 30 Jun and 1 July 2017. I am more active on my activities on urban sketching but I am still working on clay from time to time and take part in wood firing sessions at Thow Kwang Dragon Kiln with the clay artists. Here is one fun video taken by Carol in Jun 2013 and it brings back lots of fond memories. 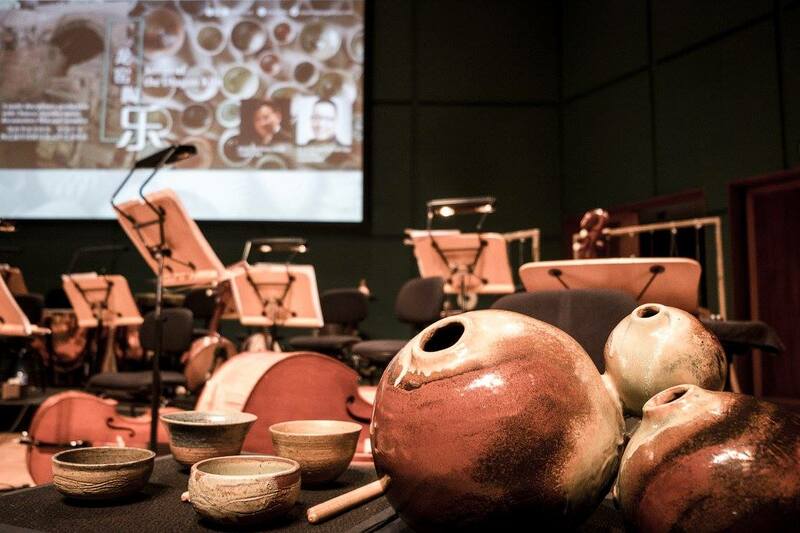 “If you give 10 potters 10 thrown pots, and 3 hours, what will you get? Watch this 2-minute timelapse of 10 clay artists collaborating in round robin style. Each potter works on a pot for 15 minutes, then they all rotate to the next pot, resulting in a truly collaborative project!” says Carol in her YouTube video. We are firing up again! 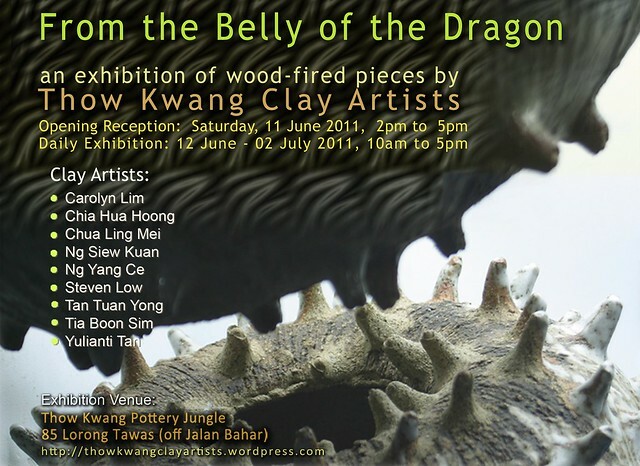 Direction to Thow Kwang Pottery Jungle : Take MRT to Boon Lay Station. Hop on to bus 199 at the bus interchange. Alight the bus stop after the PIE flyover along Jalan Bahar, just before the turn to Nanyang Avenue (NTU). You can see a small road on the left side with huge pots at the corner before the bus stop. Comments : Comments Off on We are firing up again! please leave comments at my flickr. this site is all about clay, the dragon kiln, the pottery jungle and my exploration with 3D forms. ash, bisque, bat, burnish, celadon, ceramic, clay, coil, cone, crackle, dragon kiln, earthenware, engobes, faceted, flux, glaze, grog, kaolin, kiln, oxidation, pinch, porcelain, pottery, raku, reduction, sager, saltglaze, slab, slip, stoneware, terracotta, wedge, wheel, wood firing.